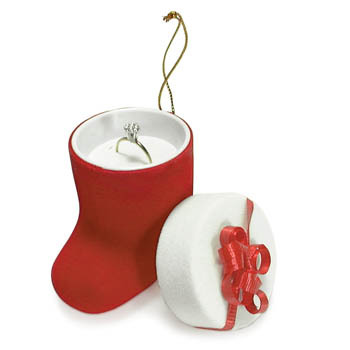 Red and white flocked boot has a gold string to hang on the tree. Measures 1-3/4 x 2-1/2". Priced per dozen.